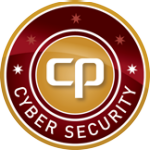 The Australian Computer Society (ACS) today announced Cyber Security specializations for its Certified Professional and Technologist schemes. This is defined using the UK developed Skills Framework for the Information Age (SFIA). There is a list of ACS Accredited Cyber Security Courses, but it is not clear if these meet the requirements of the new certification. The ACS Core Body of Knowledge, used for accrediting courses, has a section on "Security Management". ps: Next I suggest an ACS Teaching Specialization using the SFIA teaching skills definitions.